Save the date for the city’s largest dinner party when it returns to Brisbane on 4 November 2017 for its sixth edition. Last year, 3,000 guests were transported from a mysterious meeting place to the secret location, revealed on the night as Brisbane’s beautiful botanic gardens. 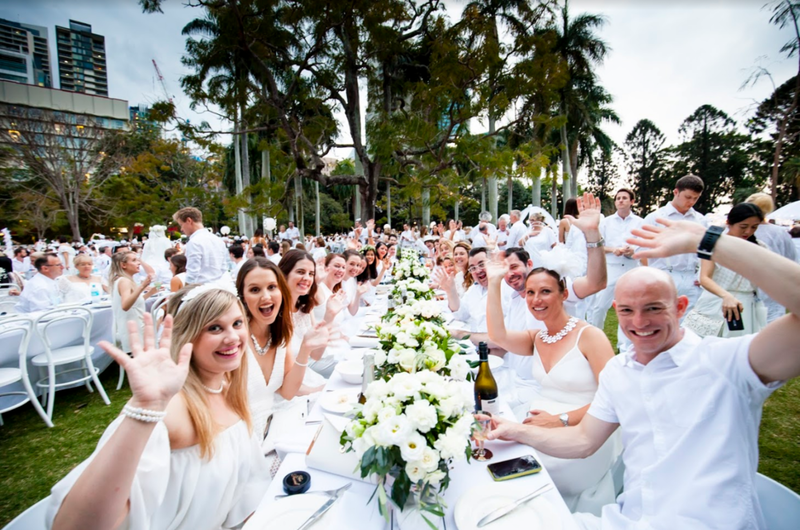 Originally launched in Paris in 1988 by François Pasquier and a handful of friends, Le Dîner en Blanc has become a worldwide epicurean phenomenon. 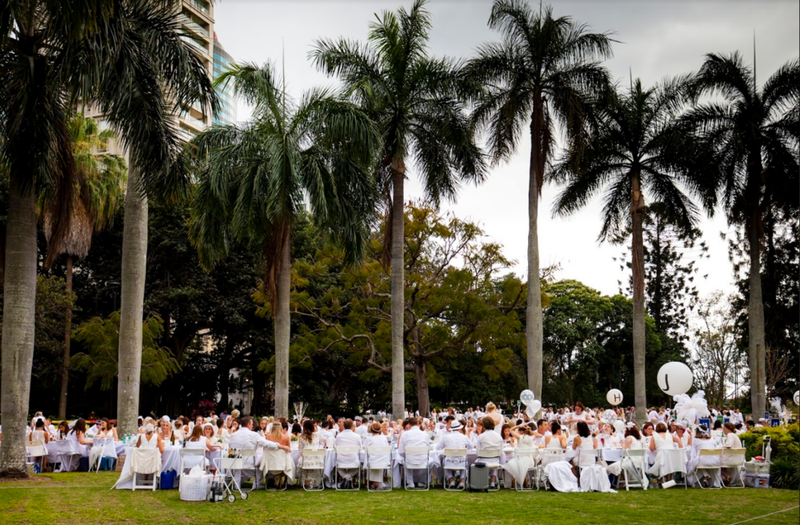 Le Dîner en Blanc - Paris now attracts over 10,000 people each year. The event has grown into an international sensation celebrated on six continents. Guests continue to gather at a secret location for the sole purpose of sharing a gourmet meal with good friends in one of their city’s most beautiful public spaces. For your chance to secure a ticket and to go on the waiting list keep reading for the direct link below. Wine and Champagne only. No beer or alcohol allowed. As per Queensland liquor licencing, guests cannot bring their own alcohol. Guests wishing to enjoy some wine or Champagne must reserve online through the Dîner en Blanc’s e-store. However, guests are welcome to bring their own non-alcoholic beverages. A catered picnic basket option, which can be picked up on site, will be available for those who do not wish to pack their own. Guests wishing to do so must reserve online through Dîner en Blanc website during the initial ticket registration. Le Diner en Blanc was possibly one of my most favourite events that I attended last year. 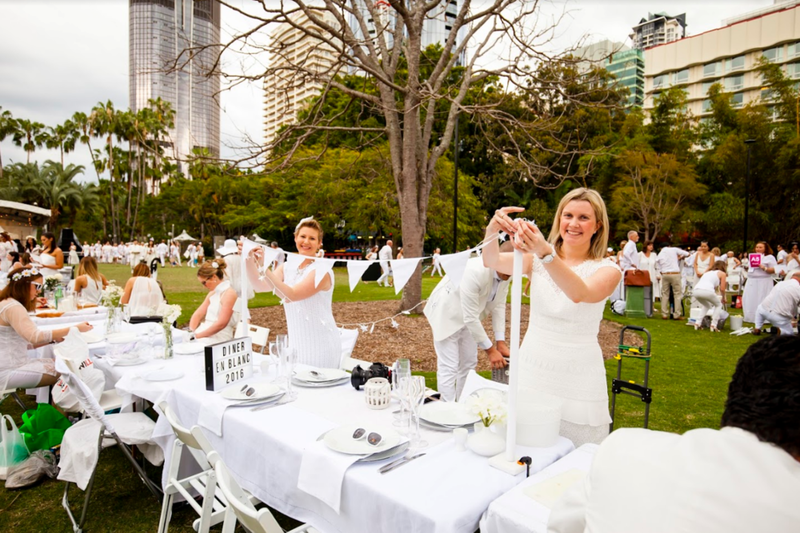 For your chance to secure a ticket, sign up now and go on the waiting list at brisbane.dinerenblanc.com/register.